This is an accidental follow-up to my last post, with a visit to Tesco leading to an unexpected beer purchase. Stocking up on my favourite brand of Kimchi flavoured noodles in the increasingly-innaccurately-named Polish section of my local branch, I came across a beer that I mentioned last time – the imported, Nigerian edition of Guinness Foreign Extra Stout. While the newly introduced West Indies Porter comes from the same root as the Foreign Extra Stout, the Nigerian edition is quite a different beast. While the exact recipe is difficult to uncover, and almost certainly varies a lot, it’s quite different from the beers produced in Ireland. Guinness appeared in Nigeria in the 1940s and has become a big-seller across Africa, despite being particularly expensive. Since at least the 1960s it has been brewed locally, and uses a different grain bill to regular Guinness, including local sorghum and maize, as well as wheat and the expected barley. At least, the bottle I have contains wheat and barley, which isn’t always a given – they were the only ingredients listed on the back aside from ‘more hops, for a bold, intense and rich flavour’. The other magic ingredient looks to be Guinness Flavour Extract, a syrup made from Guinness wort in Ireland that is added to the locally brewed beer to give it some extra oomph. It’s not used in every overseas-brewed Foreign Extra Stout, but the internet seems to think that it is added in Nigeria, and the flavour of the beer suggests that something a bit different is going on. Appearance: Very deep black with a thick head, like you see on the Guinness adverts, which dissipates quite quickly. Nose: Coffee, dark chocolate and stewed oranges. There’s some lactic sweetness and creaminess, but behind that are dark roasted flavours and a touch of bitterness. Taste: Sweet to start, with milk stout creaminess. This moves through sweet and bitter citrus, and then on to heavy chocolate malt and roasted notes. Bitter dark chocolate and coffee grounds sit at the back, with malt extract, umami and Marmite. Finish: Bitter orange peel, intense espresso (macchiato), and bitter coffee. 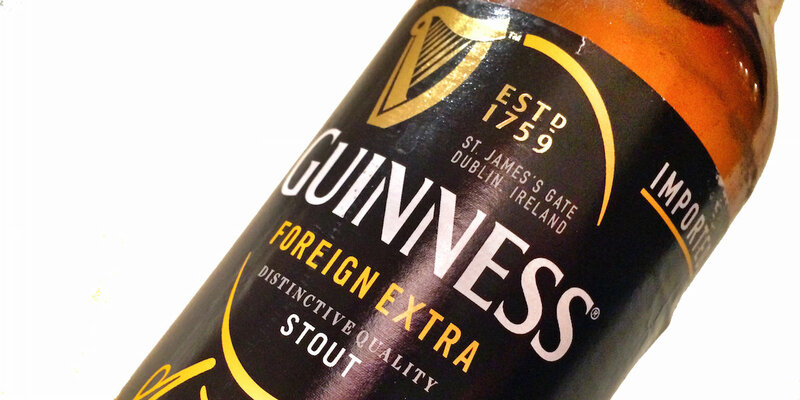 The Nigerian Foreign Extra Stout is what Guinness West Indies Porter wants to be when it grows up. It’s thicker, more intense and much heavier, despite a mere 1.5% increase in ABV – a single bottle of this is quite enough for me of an evening. As a big fan of darker beers, especially at this time of year, this gives the richness and weight that I want without going to the higher levels of alcohol you usually find in a similar beer. It’s strange to think of a 7.5% ABV beer as a lighter alternative, but after a fashion, this is. @cowfish @BillysBoozeBlog Ooh. I tried a version of this a few years back. Magic stuff but I wouldn’t need more than one. Greg Dillon liked this on Facebook. Alwynne G liked this on Facebook. Suzan Eyup liked this on Facebook. Sachin Patel liked this on Facebook. Kirsty Clarke liked this on Facebook. @cowfish @BillysBoozeBlog reminds me i once won a million $$ from this guy in Nigeria.. This is a booze blog. Why don’t you stick to that? Nagesh Kumar liked this on Facebook. Louise Crane liked this on Facebook.